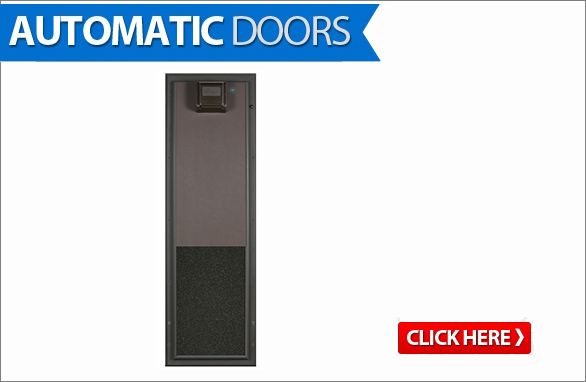 Pet Doors give your pet the freedom to come and go as they please. Whether you want to give your dog or cat indoor/outdoor access all the time, allow your cat to access a litter box in a closed room, or let some pets out while keeping other pets in, we have a dog door that's right for you. Choosing the right pet door for you and your pets is a two-step process. First, you'll need to select the best door for your situation. Consider where you intend to place the door and how you want to use it. Once you know which type of door you want, you'll need to find the right size door for your pets.